Cold Fusion Guy: Would you tread on Fumi-e? The tragic images are almost impossible to see and process. 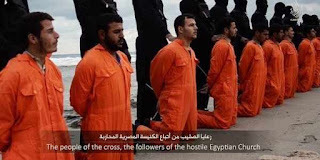 There on the shore of Libya stand 21 young Christian Egyptian men, each clad in an orange jumpsuit. Behind each man is a hooded radical Islamist, holding a knife. We know what’s coming next. If American Christians were ever tempted to believe martyrs are only people we read about in the Bible and history books, the 21 men who were brutally beheaded because they called Jesus Christ their Savior remind us nothing could be further from the truth. Based on the acclaimed 1966 novel by Japanese Catholic writer Shusaku Endo, Silence is a book about 17th century Jesuit missionaries trying to make inroads for the gospel in the inhospitable “swampland” of Japan, facing intense persecution by a Japanese shogunate determined to wipe out Christianity’s influence in their realm. Why is Japan so inhospitable to the gospel? Rodrigues insists officials are poisoning the soil. Inoue says the climate is simply not conducive to the growth of Christianity, as if one tried to plant an orange tree in Siberia. Late in the film one of the “fallen” priests suggests that the fruit of Japanese converts is false fruit. 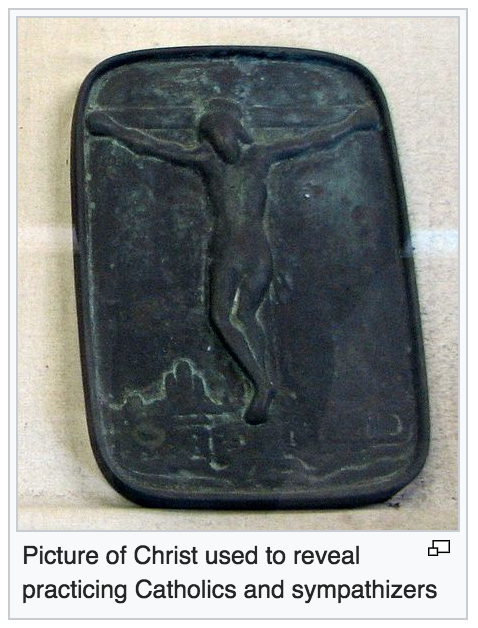 They believe in the “Sun God,” not the Son of God. They aren’t becoming martyrs for Christ, but for the missionaries, he argues. The film (and book) asks the audience to ponder for themselves the authenticity of the Japanese converts’ faith. Can Christianity survive in hidden form, even if publicly it is denounced? Can the Christian gospel be enacted in a particularly Japanese manner (even with some Buddhist-inspired touches) and still be the same Christian gospel? Comments: I would like to see this film - probably will wait for it to be streamed. To tread on Fumi-e is explained in this Wiki article. Comment: God calls us to publicly declare our allegiance to King Jesus. While the people seemed to trust Jesus with much more candor and fervency, the leaders of Israel who believed in him demonstrated inadequate, irresolute, even spurious faith. The faith of the latter was so weak that they refused to take any position that would threaten their position in the synagogue. This is one of the saddest statements about spiritual leadership, for they preferred the praises of men above the praises of God in their refusal to publicly acknowledge Jesus as Messiah and Son of God.